In this undated file photo, the Facebook logo is displayed on a smartphone. Facebook again aimed to convince its 2.3 billion users that it didn't allow more than 150 other companies to misuse their personal data on Wednesday night after its valuation fell by more than $28 billion on the stock market, NBC News reported. 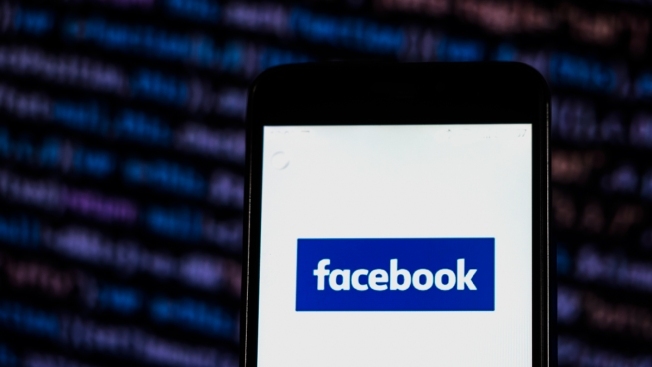 "In the past day, we've been accused of disclosing people's private messages to partners without their knowledge," said Ime Archibong, Facebook's vice president of product partnerships, in a post on the company's blog. "That's not true — and we wanted to provide more facts about our messaging partnerships." It's the second blog post from the company since The New York Times reported Tuesday that Facebook for many years gave more than 150 companies extensive access to personal data. The post focused narrowly on the contention in the Times report that emerged as the most controversial: that Facebook gave four companies access to read, write and delete users' messages. Archibong said the companies — Spotify, Netflix, Dropbox and the Royal Bank of Scotland — were granted automated access to users' messages so Facebook users could send Facebook messages to other Facebook users without leaving the Spotify, Netflix, Dropbox or Royal Bank apps.